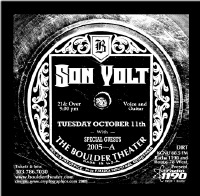 Boulder Camera "... Eye-popping gig posters that pass as both art and advertising." Boulder Weekly "Art and sound collide at the end of Jeff Holland?s poster trail." Denver Post "... One of the best-known unknown artists in the area." Boulder Planet "... Charts a musical map to the underground and finds a lost art." Boulder Weekly "A life-long music freak, diehard record collector... a cultural barometer." Westword "He's built a loyal following of friends, collectors and music art fans." Onion "... Hot rods, half-naked women, and Native American petroglyphs..."